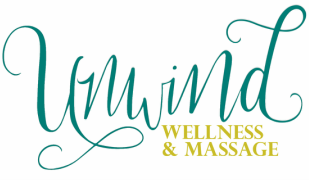 We are glad that you decided to book a session with Unwind Wellness and Massage. We know you will enjoy your experience. We currently use an online booking system to help bring ease to your appointment booking. Please click the button below to be taken to the online calendar where you can choose your therapist, date, time and treatment. ​If you prefer to make an appointment via phone or email or have any questions about the booking process, please visit the Contact Us page and send us your questions. If you want an appointment for the same day or the date and time you are interested in on the online calendar is booked, please call us at 512-937-3787 for availability. When you sign up online, you will receive an email with a link to an intake form. Please take a moment to complete the form. You can also fill out the form when you arrive for your session. If you choose to fill it out at the appointment, please arrive 10 minutes early. We kindly ask that you give us 24 hour notice when cancelling. This will allow us to book another client who may wish for services. A late cancellation or no show hinders us from booking another client in that appointment time. We will charge a $20 fee at the next booking and take pre-payment at future appointments to anyone that cancels within 24 hours or does not show for their scheduled appointment.